is the complete embodiment of an introverted and extroverted individual. 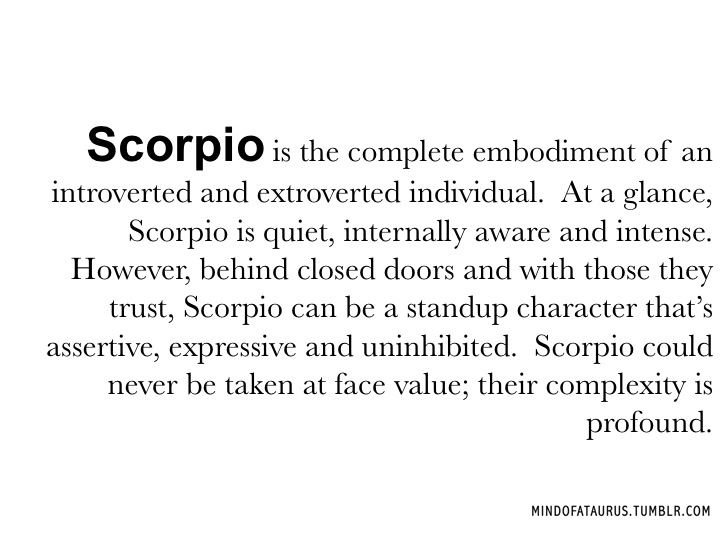 At a glance, Scorpio is quiet, internally aware and intense. However, behind closed doors and with those they trust, Scorpio can be a standup character that's assertive, expressive and uninhibited. 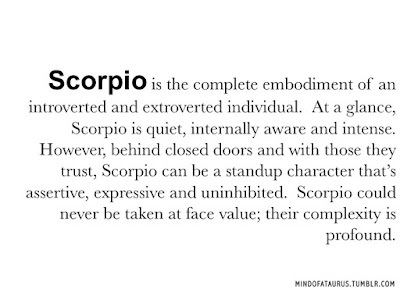 Scorpio could never be taken at face value; their complexity is profound.